The OLD Family Crest for Brian Sharp was a snake dragging his heels inscribed with non servium est (Latin - I will not serve). 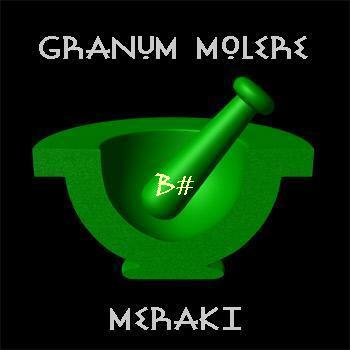 The NEW Crest features a mortar and pestle with the inscriptions granum molere (Latin - grinding the corn) and meraki (Greek - This is a word that modern Greeks often use to describe doing something with soul, creativity, or love -- when you put "something of yourself" into what you're doing, however mundane. Meraki is often used to describe cooking or preparing a meal).